Reclaim your desk space and improve visibility. 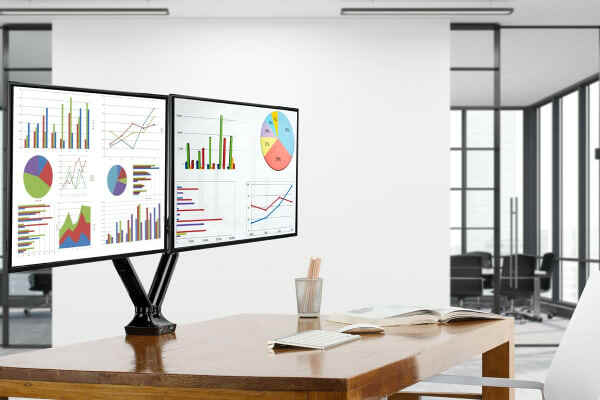 Raise, swivel and tilt your computer monitors, and free up your desk space for a more efficient working environment. 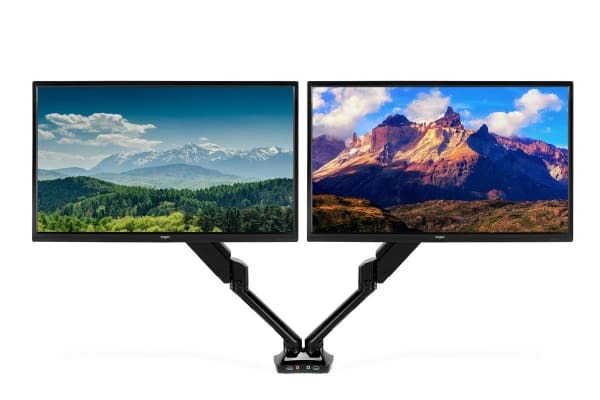 The Kogan Dual Monitor Mount is an essential accessory for any office, allowing you to clear space on your desk and create a larger area on which to write, lay out documents and more. The monitor mount features gas spring technology which ensures smooth adjustment and a secure stationary position. 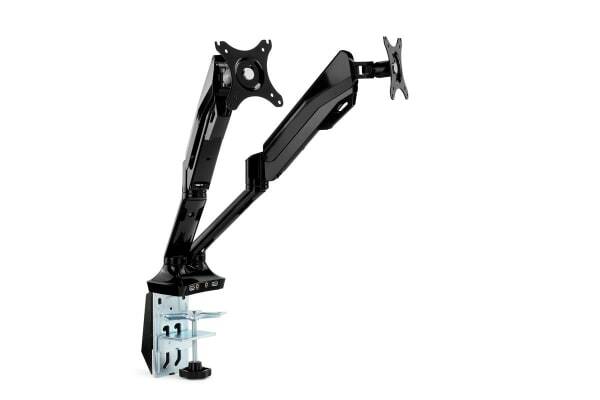 Replace your monitors’ bulky stands with this stylish mount to increase desk space and ensure you have the perfect height and angle thanks to smooth tilt and swivel adjust. Secure your cables to the arms of the mount, keeping them out of sight and minimising the risk of tangling or pulling. Please note: Monitors not included.